The high of the smartphone and tablet revolution is wearing off and consumers and the tech industry need a fix. Sales of mobile devices are still growing but quickly leveling off. Older gadgets like PCs are on the decline. Meanwhile, the technology industry is rushing to figure out what the next big game changer will be. Major companies are betting big on small, wearable devices. Google (GOOG) on Tuesday announced a new version of its Android mobile operating system crafted just for wearable devices. Called Android Wear, the OS will first appear on watches, and eventually it will act as the company's platform for all types of wearable devices. Wearables represent a broad category that can include fitness trackers, smart glasses, smartwatches, clothing with embedded sensors, tattoos and even ingestible pills that gather data while zig zagging their way through your lower intestine. Most wearables are not meant to replace smartphones. Instead, they work as satellite devices that amass useful data or relay notifications from a primary mobile device. If they have screens, they can display simplified versions of mobile apps. Big companies and scrappy startups alike all been working on their own wearable designs. The barrier to entry is low thanks to cheap sensors and excited crowdfunding and venture capital backers. But building upon an existing mobile operating system like Android or Apple's (AAPL) iOS to wearables could speed up mass adoption, since app makers could tweak their existing apps rather than write entirely new ones. Google beat Apple to the punch with its Android Wear announcement (for years, rumors have swirled that Apple is working on its own smartwatch). Google said it is working with equipment manufacturers such as Samsung, LG and Motorola to design watches that will use the Android software. Wearables are a big bet -- one that will likely result in a lot of early failures. Google Glass, for instance, started as an exciting futuristic product and has become an overhyped niche gadget with a public relations problem (and it's still in beta). Smartwatches might be less controversial, but that doesn't mean there's a demand for them -- or many other wearables -- just yet. 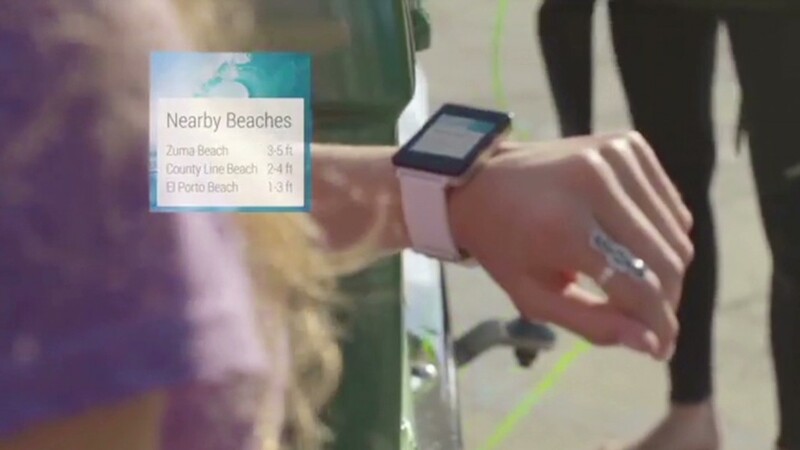 "Right now there is a hype bubble around wearables," said J.P. Gownder of Forrester Research. Gownder predicts that 80% to 90% of current wearable products will fail but the category itself will succeed in the long run. The last gadgets standing might bear little resemblance to the early experiments we're seeing now. For example, smart glasses could take off for businesses and focus on augmented reality displays, while the consumer-targeted, at-a-glance Google Glass peters out. In 2014, 90 million wearable devices will ship around the world, according to ABI Research. The early wearable successes stories are sports, fitness and wellness devices followed by healthcare technology. ABI's Joshua Flood says the reason sports and related wearable devices have taken the early lead is that their features and benefits are clear. The usefulness of smartwatches, however, is still fuzzy. With the right sensors, watches can act as beefed up fitness trackers. The addition of a screen can save the wearer an arduous trip to their pocket to look at their smartphone. Microphones and Google's voice control technology can make a watch into a mini Siri-like device. None of the use cases are exactly earth shattering, and for all the attention the idea receives, there has yet to be a hit smartwatch design. "It is still unclear whether this device type will clear out a reasonable market for itself," said Flood. Yet watches are familiar to consumers, and they could be a necessary bridge device from fancy pedometers to some of the more "out-there" wearables. "Some of them require a significant amount of social change," said Forrester's Gownder. One day, a wearable device might confirm your unique walk or heartbeat and act as a form of unique identification, similar to a fingerprint sensor. When you walk into a store, it could transmit information about your size and clothing preferences to a beacon, and when you walk out it could charge you automatically. Those gadgets may be the big technology wave of the future. For now, watches represent the first baby step.